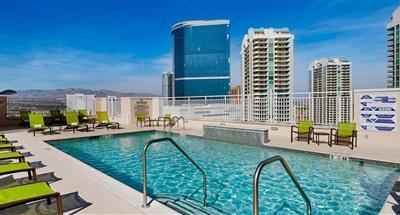 Las Vegas is sophisticated, glamorous, glitzy and tons of fun for the entire family. And with Vacations by Marriott, it’s also on sale. Three-night getaways including round-trip airfare are priced from $215* in one of America’s favorite destinations. With the savings from this Las Vegas vacation deal you can enjoy gourmet restaurants, take in amazing shows, shop until you drop or try your luck at one of the many games of chance. After all, it’s Vegas, baby. We've put together a convenient list of how to spend four non-stop days in Las Vegas; check it out! The Cosmopolitan is a unique luxury resort, hotel and casino located in the heart of the Las Vegas Strip. Guests enjoy oversized residential-styled living spaces with private terraces and breathtaking views of the Las Vegas skyline. The resort’s one-of-a-kind Restaurant Collection features eateries from such world-class chefs as Scott Conant, José Andrés and Costas Spiliadis. Stylish design and art engage cultural sensibilities while a vibrant nightlife scene captivates perceptions. 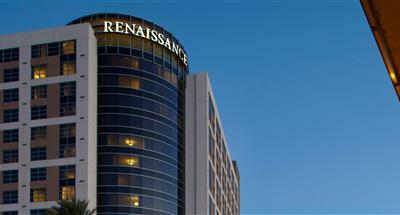 Treat yourself to an experience at the Renaissance Las Vegas Hotel. A dramatic departure from traditional, Las Vegas hotels, we offer a cool, boutique environment with luxurious amenities to enhance your stay. Located blocks from the famous Las Vegas Strip and adjacent to the Convention Center, this 4 Diamond non-gaming, smoke-free hotel is the largest of its kind in the area. Enjoy our sleek modern style, deluxe accommodations and exceptional service. 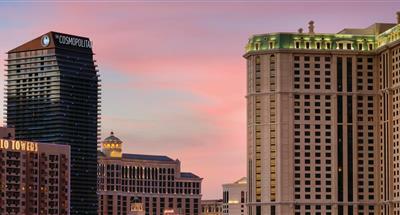 Experience Las Vegas in a completely new way here at Marriott's Grand Chateau. With comfortable guestrooms, and spacious one-, two-, and three-bedroom villa rentals, our resort sets the tone for a relaxed and enjoyable vacation for you and your family. Designed with the timeless style of the South of France in mind, our villas include helpful amenities like full kitchens, free Wi-Fi access, and in-suite washer and dryers. 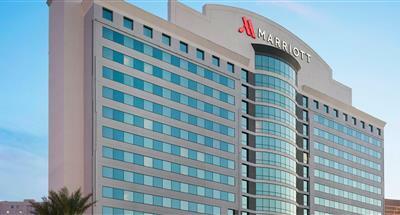 Guests won't have to roll the dice on their stay at Las Vegas Marriott. Our LEED Gold Certified hotel lets visitors reset themselves in contemporary accommodations designed with flexibility, innovation and style. Our hotel provides both GE and Tesla level two charging stations for your convenience. Your spacious guestroom features places to relax and rejuvenate, like the marble bathrooms, as well as plenty of plugs to recharge mobile devices. 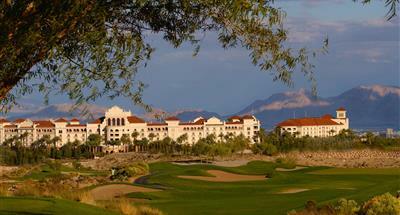 Located within the master-planned Lake Las Vegas resort area, The Westin Lake Las Vegas Resort & Spa features a sandy lakefront beach, an extensive water complex, Spa Moulay, kayak and paddleboard rentals, two 18-hole championship golf courses and more. All guestrooms offer hand-painted decor, complimentary wired and wireless high-speed Internet, compact refrigerators, and robes. 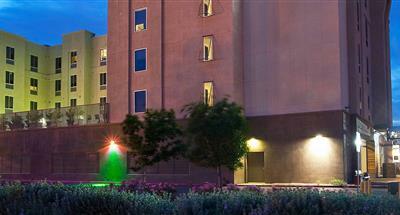 Residence Inn Las Vegas Hughes Center hotel brings comfort and convenience to new heights in the Entertainment Capital of the World. With quick access to the Las Vegas Strip, University of Nevada Las Vegas (UNLV), Red Rock Canyon and the Hughes Center, our hotel makes it easy to fuel adventures for business or leisure. Find the perfect place to unwind when you cozy up in our renovated smoke-free suites, featuring separate living and sleeping areas, plus fully equipped kitchens. 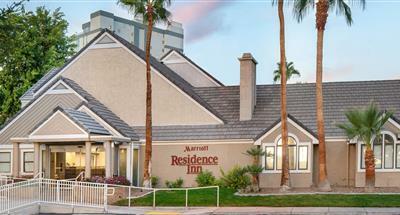 Residence Inn Las Vegas Convention Center is the sure bet, with comfort and convenience waiting for you. Just minutes away from the famous Las Vegas Strip, home to dozens of exciting casinos, celebrated restaurants and spectacular shopping. Our hotel offers easy access to exhilarating entertainment while still providing a quiet escape away from the hustle and bustle of the city. Book a stay at our hotel today and cash in on cozy accommodations and contemporary style! 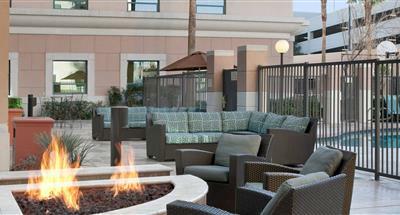 Thrive in style in the Entertainment Capital of the World when staying at Courtyard Las Vegas Convention Center. Our hotel provides a peaceful respite from the hustle and bustle of the city while still giving you easy access to the lively Las Vegas Strip. Hop on the monorail to get a unique perspective of the plethora of attractions surrounding our hotel. When it's time to retire for the night, slip into comfortable beds with cotton-rich linens and mountains of pillows for a sound slumber. Welcome to SpringHill Suites Las Vegas hotel, an all-suite hotel near the Las Vegas Convention Center, offering the space you need to vacation or get down to business. Close to the Las Vegas Strip, our stylish and smartly designed hotel suites are 25 percent larger than comparably priced standard hotel rooms. Enjoy all that Las Vegas has to offer from live shows to shopping at the Fashion Show Mall, touring the Hoover Dam to hiking Red Rock Canyon. Element Las Vegas Summerlin is just a 15-minute drive to the thrills of the famed Las Vegas Strip and near the Spring Mountains and Red Rock Canyon. 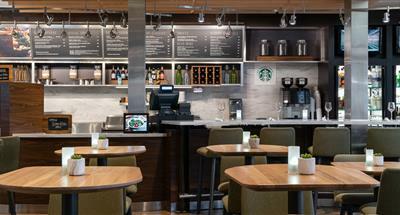 Guests enjoy our complimentary Rise® breakfast daily and Relax: Evening reception, Monday – Thursday each week. Guest rooms feature fully-equipped kitchens, fast & free WiFi, and a spacious entertainment area, perfect to unwind. 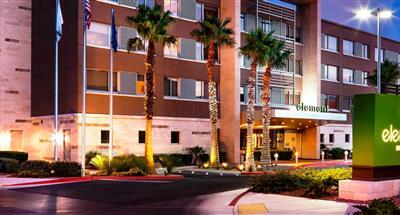 Four Points by Sheraton Las Vegas East Flamingo is located a few blocks from the Las Vegas Strip and just three miles from McCarran International Airport (LAS). Check out the variety of casinos, nightclubs, and attractions that line one of the most famous streets in America. After you are done exploring, return to one of our Las Vegas hotel's stylish guest rooms to relax and unwind or go for a swim in our rooftop pool and hot tub. *Sample air/hotel prices are valid as of April 19, 2019 and are quoted for one adult based on double occupancy. 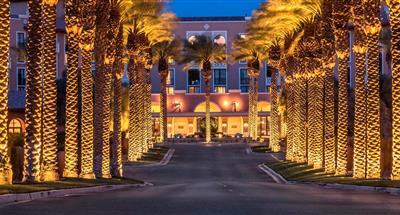 Prices include roundtrip booking for economy/coach class travel from Los Angeles on Alaskan Airlines and three nights accommodation at The Westin Lake Las Vegas Resort & Spa, including taxes. Travel dates: Sample prices are based on May 27 through May 30, 2019 travel. Additional low fares may be available for travel on alternate days and dates; prices are not guaranteed and may vary. Additional taxes/fees: Prices shown are for one adult based on double occupancy and include taxes and booking fees. Taxes and fees may vary by origin and destination, booking and travel dates, and accommodation. Other conditions: Fares and rules are subject to change without notice. Seats are limited and may not be available on all flights/dates. Lower fares may be available to selected destinations. Fares do not include checked baggage fees that may be charged by the applicable airline. Tickets may be nontransferable and are nonrefundable. Read the complete penalty rules for changes and cancellations applicable to the fare you're considering booking.